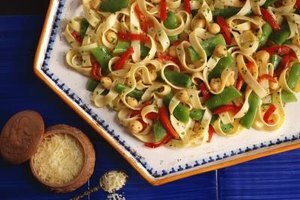 Add cooked chickpeas to pasta and other hot dishes. 4 What if You Don't Cook Chickpeas Long Enough? 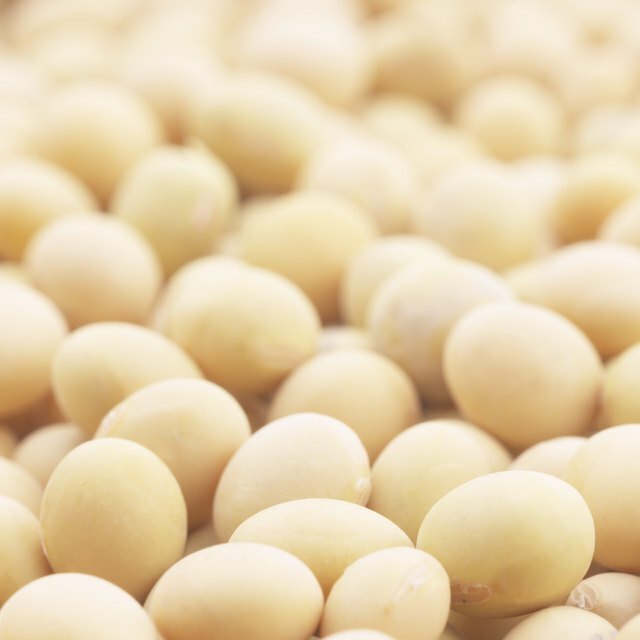 Like all beans, chickpeas, also known as garbanzo beans, are a dollar-saving source of vitamins, minerals and fiber. Although cooking these tasty, low-fat legumes in a pressure cooker is a real time-saver, dried chickpeas soaked and cooked the old-fashioned way are every bit as nutritious and delicious. With a slightly nutty flavor similar to walnuts or chestnuts, chickpeas complement appetizers, salads or hot dishes. Place the chickpeas in a colander and rinse them thoroughly under running water. Sort carefully as you rinse, removing wrinkled, blemished chickpeas along with small pebbles and twigs. Transfer the chickpeas to a large saucepan or kettle, then cover the pan and add enough water to cover the beans, plus about 2 inches. Soak the beans for six to eight hours or overnight. Drain the chickpeas, then return them to the kettle. Add broth or water and bring the liquid to a boil. Use about 4 cups of liquid for each 1 cup of chickpeas. Reduce the heat and simmer the chickpeas, with the lid slightly ajar, for 45 to 55 minutes or until they are tender. Drain the cooked chickpeas. Hold the strainer or colander over a bowl if you want to reserve the cooking liquid. Salt the chickpeas to taste. Serve the cooked chickpeas hot, add them to recipes or store them in the refrigerator. If you prefer to speed up the process, bring the water to a full boil, then lower the heat and let the chickpeas simmer for two minutes. Drain the chickpeas, then cover them with fresh water and cook. Soaking and cooking doubles or triples the size of beans, so 1 cup of dried chickpeas yields 2 to 3 cups of cooked chickpeas.